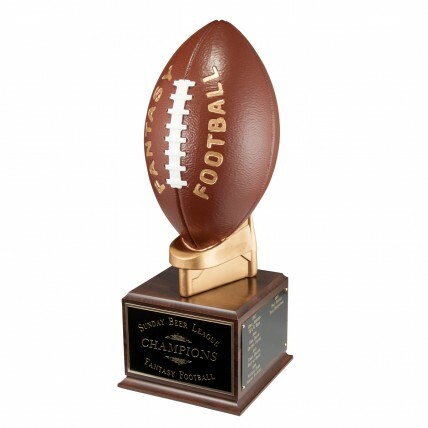 For your fantasy league winner, award our jumbo sized Football on Tee Fantasy Winners Trophy! 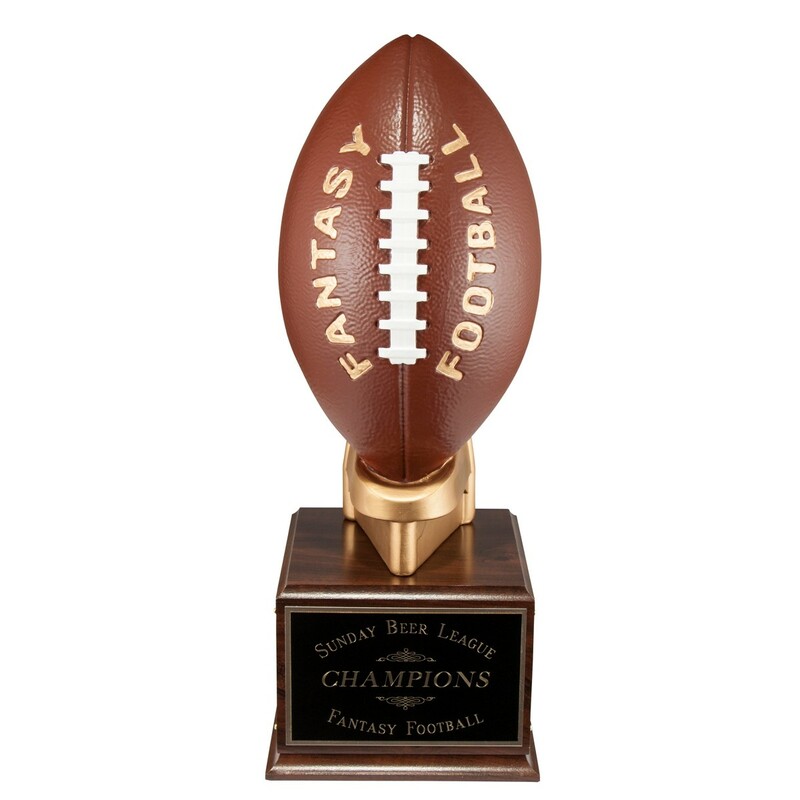 At 17 3/4" tall, this epic trophy features a life-like football with white laces and the words "Fantasy Football" in gold on a gold tee. Below is a walnut base with your personalized engraving featured on the front of the trophy! 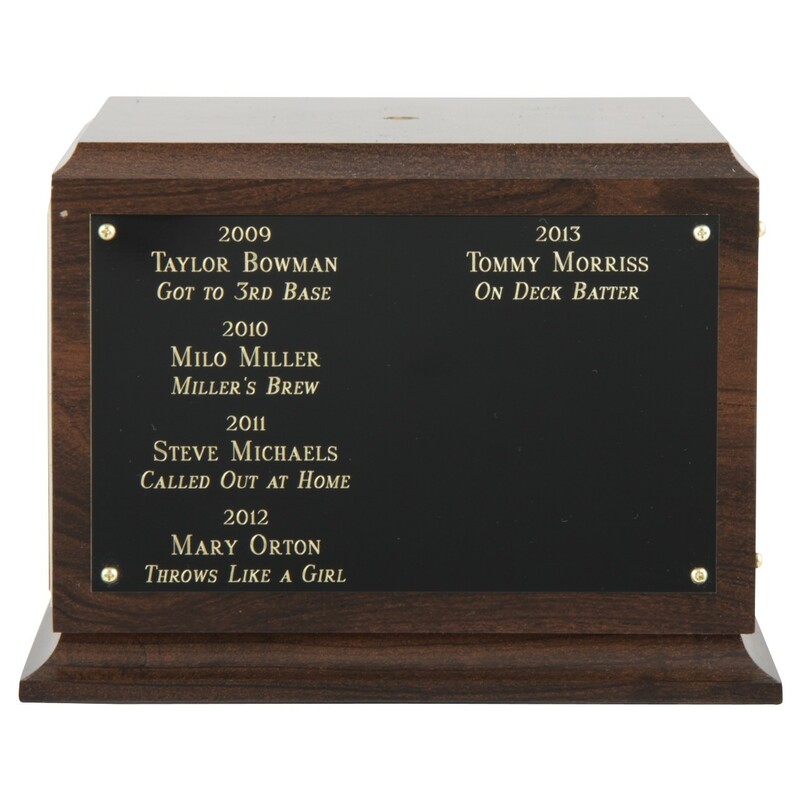 Add the option of three side plates to memorialize your winners!